It appears American patriots (and not to mention Bush/Obama’s NSA spying) are making headway in restoring the republic when a black state senator from Louisiana changes parties because he is finally realizing that the Democrats have enslaved his ‘black brothers and sisters’ in poverty through handouts. 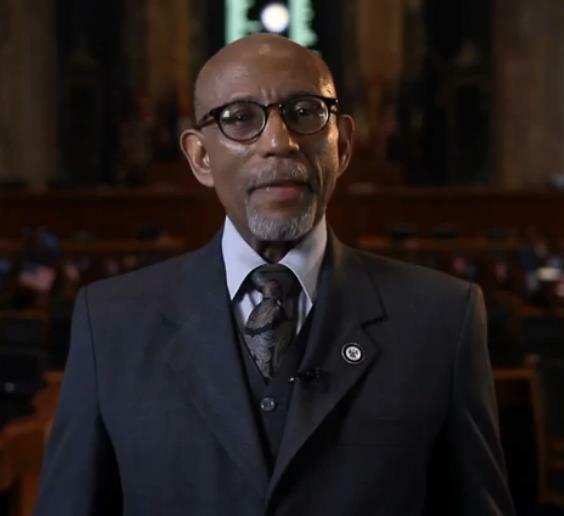 Meet Elbert Guillory. The idea that blacks or anyone for that matter, need the government to get ahead in life is despicable, and even more important, this idea is a failure. Our communities are just as poor as they have always been, our schools continue to fail children, our prisons are filled with young black men who should be at home, being fathers. Our self initiative, our self reliance have been sacrificed in exchange for allegiance to our overseers who control us by making us dependent on them. I would like to applaud Sen. Guillory for using the phrase ‘American community’ instead of black community as the latter is a marxist invention called ‘critical theory’ which divides and conquers a nation. Can we please repatriate every chapter and member of the Communist Party USA to a communist country right this second? Also, I would love it if Senator Guillory would go to Clinton, Louisiana and explain to the black police chief and the black residents that being forced to abide by a 11pm to 6am curfew when you have done nothing wrong is willingly putting back on the chains of slavery. YeeHaw girl; good to see you are back in the saddle. Your voice has been missed. Good to be back, and time to be here writing again as we now have a beam of sunlight breaking through. I’ve been watching the entire time, but did not have the time to write about any of it. Now the time has come to rally, write and unite as the crack in this administration’s armor has been made big enough to drive a wedge into. I miss Andrew Breitbart the most right now. We have no gladiator anymore to get our message out.